Whether you're painting, staining, priming, sanding, or sealing, we've got you covered! Contractors prefer Dickies painter's wear because it's comfortable, durable, and built to help you do your job. 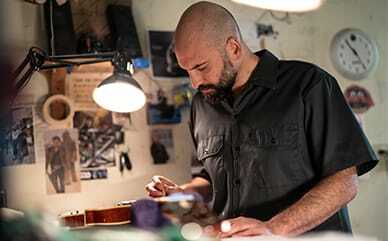 Shop for different styles of men's painter's wear, including shorts, pants, coveralls and more. Pants, shorts and overalls have a relaxed fit that sits just below the waist. Extra room through seat and thigh lets you kneel, bend, and stretch in comfort. 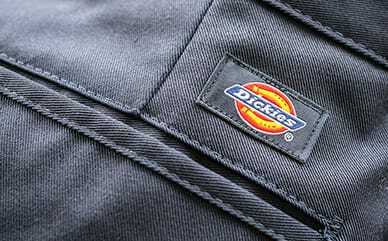 Dickies painter's pants come in extra-durable 100% cotton drill fabric or a premium polyester/cotton blend. The diagonal weave of our all-cotton drill makes the fabric stronger--perfect for those who prefer working in all-cotton. Keep essentials within easy reach with our wider and deeper rule pockets, dual tool pockets, and side-leg and center-back hammer loops. Triple stitched seams last longer, resist fraying. Top-selling utility pants are an all-around good value. Offer a generous fit in shoulders and chest for comfort. Relaxed fit in seat and thigh for comfortable bending and kneeling. Will stand up to your on-site demands and wash up easily. Comfortable, convenient, and roomy enough to wear over other clothing. Great way to coordinate with other Dickies Painter's Wear. Story has it tradesmen started wearing white in the 1700s when most buildings were whitewashed. All-white clothing didn't show the spatters. With today's paint contractors using white spackle, plaster, caulk and chalk, wearing white still makes sense. It's a clean look that's become the distinguishing uniform of professional painters.